Ornamental iron gates can beautify your home’s overall look. The care and maintenance that it requires should be extended by competent gate services in California, like us. Entrust to us the health of your gates and you will have guaranteed peace of mind. With its experience, our gate company will mean the world to all gate owners interested to work with a team which is ready to assist quickly and provide excellent gate maintenance. We have the dynamics and foundations to provide same day gate repair and guarantee excellence in automatic gate troubleshooting, practical solutions and immediate repairs. We repair hinges, adjust gates, replace broken chains, fix motors and will do everything in our power to ensure proper gate movement and operation. With our service, we minimize problems and eliminate the possibility of accidents. 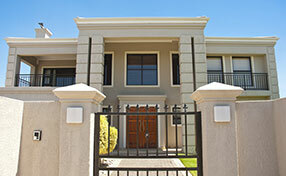 We are gate opener service experts and take care of all remote or keypad issues as well. We fix the safety features fast and will replace the ruined motor. Our technicians have knowledge of the latest gate intercom systems and on top of everything else they also provide intercom installation, programming and repair. Our gate infographic is the best way to learn new things and obtain practical advice that is easy to apply. Go ahead and take a look at it. We are not only among the best providers for gate repair and installation services but we also excel in garage door services. 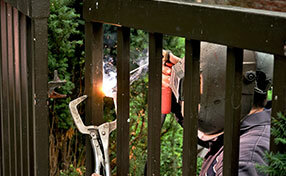 Gate Repair Oceanside is a gate company that has a lot of respect for their residential and commercial gate customers. We understand that we would not be successful if it was not for our customers. This is why we go out of the way to make sure that our customers are satisfied. This caring nature that we have is why we have earned the reputation as being the best around. Our services are fast, provided by expert and well-trained professionals, and meant to keep your family safe and your property secure. If you are trying to figure out how to redecorate your yard by adding a fashioned iron fence and you are not sure what would be the best way to go then give us a call at our driveway gate corporation in Oceanside. 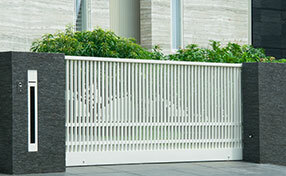 At our corporation, we produce different kinds of fashion iron fences & gates.